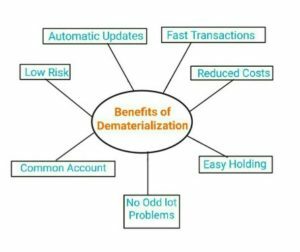 To trade in Indian stock market one needs to open a demat or dematerialization account. Demat account is similar to your bank account in demat account you can hold shares and other securities in electronic form. Before 1996 all share transactions in India used to happen in physical form. That was a cumbersome and slow process of share transfer. In 1996 Indian capital market adopted the demat system with the introduction of ‘Depository Act of 1996’. After introduction of Depository Act, investors can hold their securities in electronic form in their demat accounts. In Demat account you can holds your shares and other securities like Bonds, Mutual funds, and Exchange traded funds (ETFs) etc., in electronic form. Every demat account has a unique demat account number known as Beneficial Owner Identification Number (BOID). Like your bank account, anyone can deposit shares in your demat account but no one can withdraw shares from your demat account without your permission. To withdraw shares from your demat account one needs a Delivery Instructions slip (DIS) with account holder’s signature on it. DIS is equivalent to the cheque of your bank account. The introduction of demat system has made stock trading more efficient and secure. It has made stock buying and selling more popular among common investors. 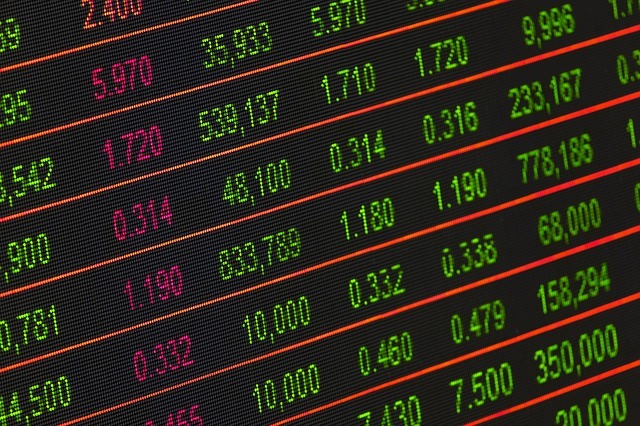 With demat system, several charges are reduced and many risks have mitigated, which were associated with the previously used physical form of stock trading. The demat system has provided more liquidity to market as it has attracted many more retail investors towards the market. With an increase in information technology year after year, number of retail investors are increasing continuously. Conversion of the physical form of shares into electronic form is known as ‘Dematerialization’ of shares. While the conversion of the electronic form of shares into physical form is known as ‘Rematerialization’. Anyone can dematerialize or rematerialize their shares anytime. But as per SEBI regulations you can not trade with physical shares, you have to convert your physical shares into demat form to trade on stock exchange. There are two central depositories in India named NSDL and CDSL. Both NSDL and CDSL are public sector depositories. NSDL was founded in 1996 as the first depository in India, and is promoted by National Stock Exchange of India Ltd. (NSE) and several other public and private sector financial institutions. While CDSL was founded in 1998, and is promoted by Bombay Stock Exchange (BSE) and several other public and private sector financial institutions. Every demat account is associated with anyone of the two depositories. The central depositories keep data of all demat accounts associated with them. All verified transactions get updated to these demat accounts in electronic form. There are several agents or members of central depositories known as depository participants or DP. Anyone willing to open a demat account with central depository can open demat account through these DPs. In this way, DPs act as an intermediary between the investor and depository. As per SEBI guidelines, registered banks, stock brokers, financial institutions or non banking finance companies etc., are eligible to act as Depository Participants (DPs). The relation between the DPs and Depository are governed by the strict legal regulations in the vigilance of market regulator SEBI under the ‘Depositories Act’. The introduction of Demat system has resolved several problems which were previously associated with physical share certificates. Demat system has benefited all parties involved in the capital market in several ways. Easy handling and storage of securities – Previously physical certificates had several risks associated with them in their storage and handling. The physical certificates were vulnerable to theft, fire and torn. These problems have been resolved with electronic shares. Easy monitoring – With demat system, you can monitor your stock shares, bonds, mutual funds etc in a single demat account, i.e. it provides easy monitoring for all your securities in a single account. Reduced transactions cost – The share transaction in electronic form has reduced transaction cost to a great extent. With physical share certificates, one needs to pay 0.5% stamp duty which is not associated with electronic shares. 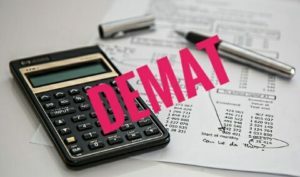 Reduced paperwork – with demat system one avoids lots of paperwork such as filling of transfer deeds, which was required in case of physical certificates. Automatic share credit – The shares in a demat account automatically adjust in case of any bonus, split, reverse split, merger etc. Easy dividend receiving – Any dividend given by a company is automatically credited to demat account holder’s bank account. 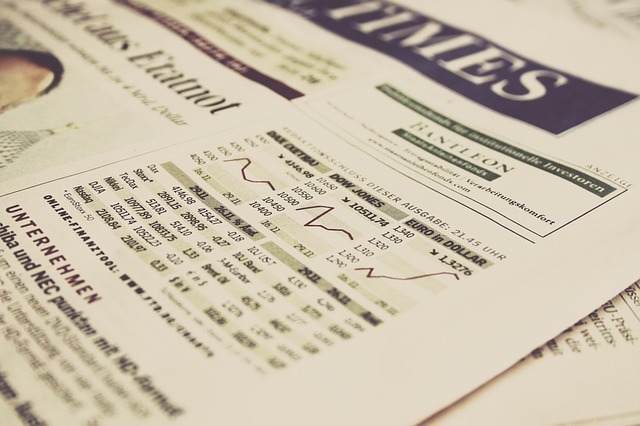 Resolved odd lot problems – Previously in case of physical share certificates one needed to trade shares in a particular fix lots ( for example a lot of 50 shares ) or in multiples of these lots. It was not possible to trade in odd lots. But with demat system shares can be traded in odd lots. An investor can trade even a single share. Fast transactions – Due to less paperwork and no need to postal delivery the demat transactions are faster than physical transfers. The shares get credited to investor’s account in T+2 days of transaction date. Provides a safer option – Demat system avoids several risks associated with physical certificates such as forgery, bad delivery problems, mutilation and physical damage of certificates. Easy monetization of securities in case you change your address – Previously for updating address one needed to correspond with each company in which he holds securities. But in demat system on updating the address with DP, address get updated in each company’s records in which the investor holds securities. Easy nomination facility – Demat account provides easy nomination facility for account holders in case of demise of account holder. The conversion of physical certificates into electronic form is called dematerialization. For conversion of physical certificate into electronic form, one needs to fill a DRF (Demat Request Form). After filling and signing DRF, surrender physical certificate to DP by marking ‘surrendered for dematerialization’ on it. Every security certificate has a unique ISIN (International Securities Identification Number) number. For each ISIN a separate DRF is required. Investors can not dematerialize shares of companies which are not in the list of depositories. You can find the list of shares and debentures that can be dematerialized on CDSL and NSDL websites. To open a demat account, first you need to select a DP of your choice with which you want to open a demat account. There is no compulsion to open demat account with your broker. You can open your demat account with any DP of your choice. You can find the list of DPs at SEBI, NSDL and CDSL websites. Compare different DPs on several parameters such as their charges, reputation of DP, proximity of their office to your residence and for other specific services you may need. After selecting your DP approach them and fill account opening form. You can open demat account in single, joint name or for miners ( in case of minor account a guardian is required for operating the account ). According to ‘Companies Act, 1956’ joint holding of shares are permitted, however the company will deal with the member whose name appears first in joint holding for different purposes such as delivery of documents/notices/communication and payment of dividend etc. You should take the original documents with copies for verification purpose. – Central/State government and its departments. – Colleges affiliated with universities. – Professional bodies such as ICAI, ICWAI, ICSI, Bar council etc. Aadhaar letter issued by unique identification authority of India. Utility bills (not more than 3 months old) like – Electricity bill, Landline telephone bill, Gas connection bill. Registered lease or sale agreement of residence. ID card/Document with address issued by – Central/State government and its departments, Public sector undertakings, Statutory/Regulatory authorities, Scheduled commercial banks, Public financial institutions, Colleges affiliated with universities, Professional bodies such as ICAI, ICWAI, ICSI, Bar council etc. Proof of address issued by any of the following – Bank manager of Scheduled commercial bank/Scheduled cooperative bank/Multinational foreign bank, Gazetted officer, Elected representative of Legislative assembly/ Parliament, Document issued by any other government or statutory authority. Self-declaration by High court/Supreme court judges, giving the new address in respect of their own accounts. Proof of address in name of the spouse is also accepted. After filling account opening form and submitting copies of valid documents, you have to sign an agreement with DP in ‘Depository prescribed standard format’ in which all the duties and rights of investors and DP are written. The first time customers also need to complete their KYC with DP. After completing the verification and further processing the DP will open an account with their affiliated central depository and you will receive a demat account number called Beneficial owner identification number (BOID). After receiving your BOID you can deposit shares in your demat account. Afterwards, if you buy any share it will be credited to your demat account, if you sell shares it will be debited from your account. A demat account can be operated by account holder(s) or by Power of Attorney holder. If you give someone Power of Attorney he can operate your account on your behalf. You should use Power of Attorney option with caution. You can open multiple demat accounts with a single DP or multiple DPs. There is no restriction on the number of demat accounts any individual can open. There are some charges applied by DPs. These charges may vary DP to DP. It is a good idea to compare charges between different DPs. Annual Maintenance Charges (folio maintenance charges). At the time of account opening the DP will provide you Schedule of Charges which is a part of DP-Client agreement. DP can revise charges by providing a 30 days advance notice to its clients. There is no charge for closing of your demat account. You can close your demat account or can change your DP anytime at your will without any penalty. There is no restriction to maintain minimum balance or minimum securities in your demat account. You can maintain your accounts with even zero balance. You can not open a demat account without providing your bank account details to your DP. A bank account is necessary for receiving your dividends, credit on sale of shares, and for other monetary benefits. So it is necessary to provide your bank account details such as bank account number, IFSC code and MICR code to your DP. You can update your bank account details anytime if you want. In a bank account, you need to submit a ‘Pay In’ slip with your cash/cheque to receive credit in your bank account. Similarly, in demat account, you need to submit ‘Receipt in’ slip to receive securities in your demat account. But if in your account opening form, you tick yes for standing instruction option you do not need to submit ‘Receipt in’ slip every time to receive your securities. Both CDSL and NSDL provide SMS alert facility for demat account holders. On using SMS alert facility one can get alerts for various transactions in his demat account. To avail SMS alert facility you need to provide your mobile number to your DP with a written request for this service. What is stock market, its working.